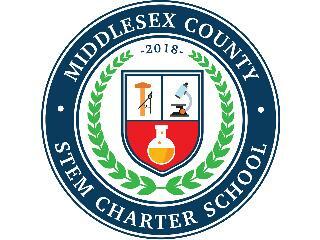 Middlesex County STEM Charter School is seeking candidates for On Call Substitute Teachers. NJ Substitute Certification or CEAS/CE as is required. Bilingual Spanish/English is a plus. The working hours are from 7:30 am-4:00pm. Free to all students and families. A replication of the Central Jersey College Prep Charter School, a recipient of the 2016 Blue-Ribbon Award, cjcollegeprep.org. The mission of the Middlesex County STEM Charter School is to provide rigorous science, technology, engineering, and math curricula in a diverse and nurturing environment to spark students’ interest at early ages in STEM careers. Welcome to Middlesex County STEM Charter School! Central Jersey College Prep Charter School is committed to maintaining a work and learning environment free from discrimination on the basis of race, color, religion, national origin, pregnancy, gender identity, sexual orientation, marital/civil union status, ancestry, place of birth, age, citizenship status, veteran status, political affiliation, genetic information or disability, as defined and required by state and federal laws. Additionally, we prohibit retaliation against individuals who oppose such discrimination and harassment or who participate in an equal opportunity investigation.